The Lieutenant Governor’s next election campaign has been under scrutiny for months now. He won’t say if it’s the Governor’s seat he’s running for, but he did say the Governor is copying his campaign. 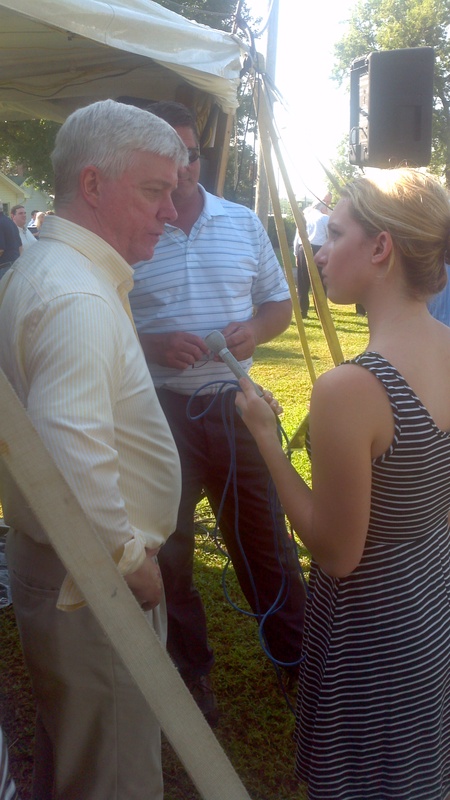 He says after he was done with his veteran’s tour, the Governor began to say the same things Kinder was about veterans. Kinder says he’ll make an official announcement after Labor Day. Until then, he’ll be touring the state, talking to business people about job creation. He says things like the federal health care law are putting unfair burdens on Missourians, and he criticized Governor Nixon for a lack of leadership in speaking out against it. He also criticized Nixon for not opposing cap and trade. Kinder declined to speak with any reporter wanting to talk about the alledged contact with a St. Louis area stripper.